Last year, we wrote about Google marking all HTTP websites as “not secure”. And in July 2018, Google began marking all HTTP sites that didn’t have an SSL Certificate as not secure. Google uses over 200 ranking factors in their algorithm that it actively considers before ranking any website in the search engine results pages (SERPs). Despite knowing this, Google has very carefully safeguarded how the actual algorithms work to avoid SEO manipulation. Until now, Google had only offered non-specific and openly generic statements such as “create high-quality content” or “get relevant and powerful links” to improve your site’s rankings in the SERPs. However, in Google’s official blog they dropped a bombshell revealing that going HTTPS (adding a SSL Certificate to your site) will give you a ranking boost. In this blog, we’ll look at several case studies that prove a boost (or jump) in the search engine rankings. We’ll also tell you how you can avoid that embarrassing Chrome “not secure” warning simply by installing a free SSL Certificate from WPhost. In our first case study, Brian Dean from Backlinko analysed the possible impact of HTTPS on a site’s rankings in the SERPs. He teamed up with SEMRush, Ahrefs, SimilarWeb and MarketMuse to acquire the necessary data and analyzed 1 Million Google Search Results to identify which factors correlate with first page search engine rankings. Google has stated that if all other factors are equal, HTTPS can act as a tiebreaker in the search engine results. The team at Cloudtec measure their google ranking for business relevant keywords on a weekly basis. After switching to HTTPS, Cloudtec witnessed almost double the number of top 10 search engine rankings. Chrome’s “not secure” warning identifies websites when the connection isn’t secure, motivating the website’s owner to install a SSL Certificate. All you need to do to avoid this warning, and at the same time get a SEO ranking boost, is to protect your website with HTTPS using a valid SSL certificate. 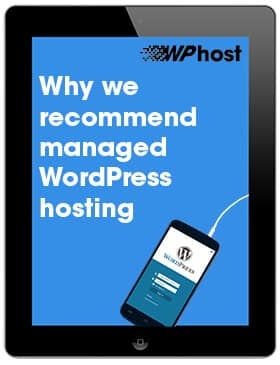 WPhost makes it incredibly simple to do this when a free SSL certificate comes standard with every managed WordPress hosting plan. 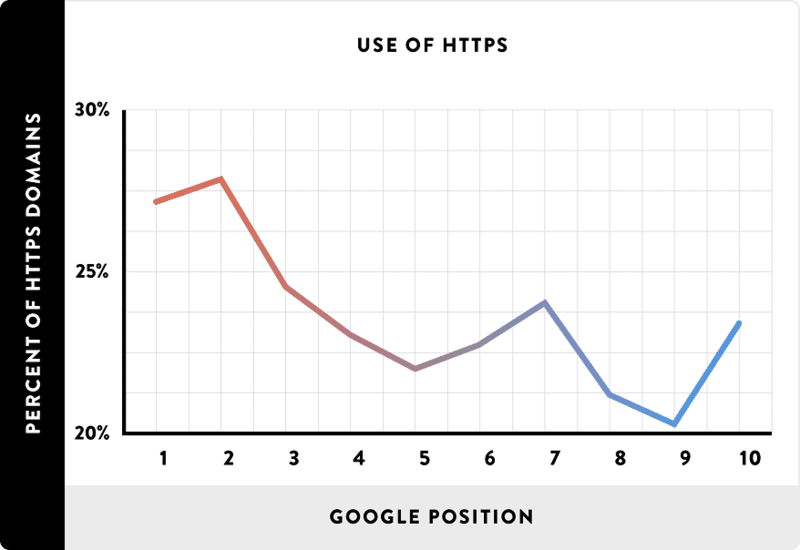 Don’t wait to move to HTTPS to give your site a ranking boost. With WPhost, getting a free SSL certificate is easier than ever before.